Morpurgo hints at new pigeon story Jump to media player Author Michael Morpurgo has hinted his next story might be based around the real life story of a wartime carrier pigeon. Code-breakers' Bletchley reunion Jump to media player Some of the code-breakers whose work helped to change the course of World War II have returned to Bletchley Park for their annual reunion. 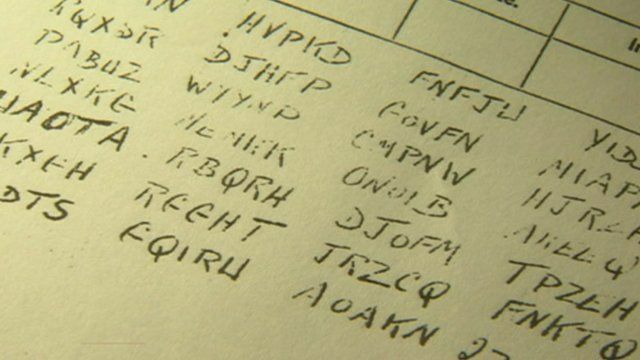 Government code-breakers are working on deciphering a message that has remained a secret for 70 years. It was found on the remains of a carrier pigeon that was discovered in a chimney, in Surrey, having been there for decades. It is thought the contents of the note, once decoded, could provide fresh information from World War II.